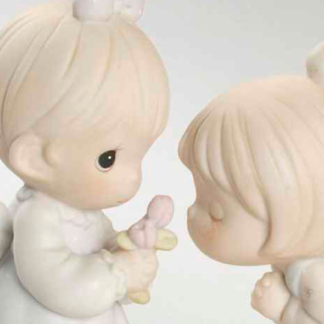 Precious Moments God is Love #E5213R. This Precious Moments figurine depicts a girl hugging a goose in her lap. 1999 Limited Edition. 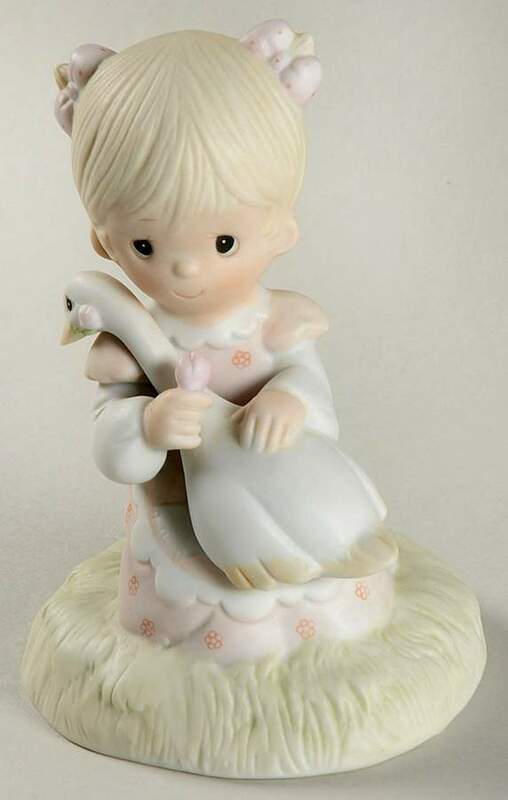 Enesco Precious Moments God is Love #E5213R. 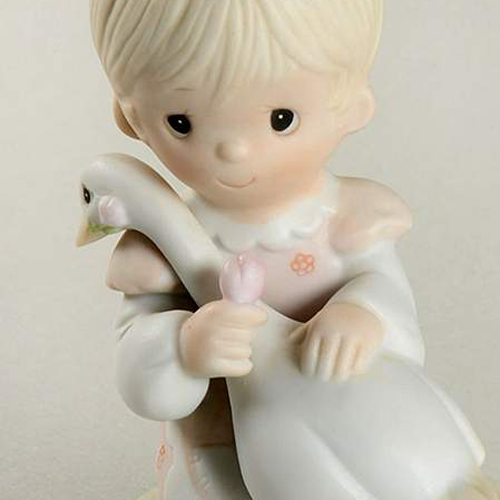 This Precious Moments figurine depicts a girl hugging a goose in her lap. 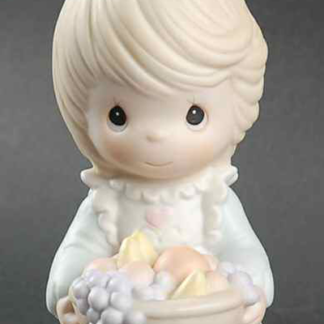 1999 Limited Edition. Made of porcelain and painted in soft pastel colors. Inspired by the artwork of Sam Butcher. Measures approx. 4 1/2″H.